Tens of thousands of motor racing fans flocked to the Aston Martin Centenary Festival at Brands Hatch last weekend to celebrate the auto maker's centenary. 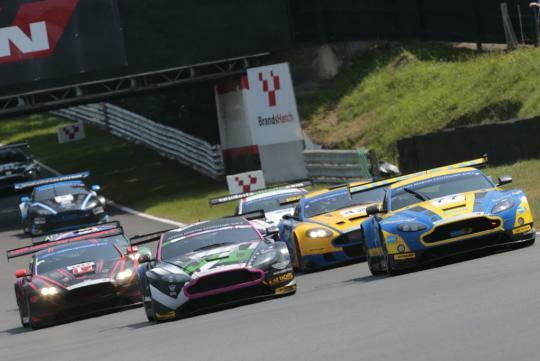 Thanks to the good display of weather, the spectators enjoyed parades, static displays and 12 thrilling races - including the fourth and fifth rounds of the GT4 Challenge of Great Britain and the 100-minute GT Centenary Race � the pinnacle of the weekend. 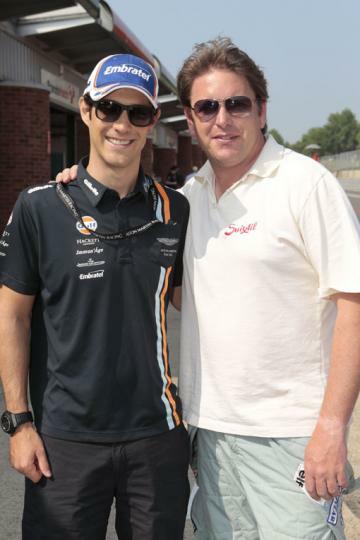 Aston Martin Racing works driver Bruno Senna - nephew of the late three-time Formula One world champion Ayrton Senna - showed off the V8-powered Vantage GTE while celebrity chef James Martin competed in a Vantage GT4. A gathering of pre-war Aston Martins and iconic models from the James Bond films added to the list of attractions. On Sunday, no fewer than 44 Aston Martin GT racers competed in the 100-minute GT Centenary Race to cap a weekend of celebrations. 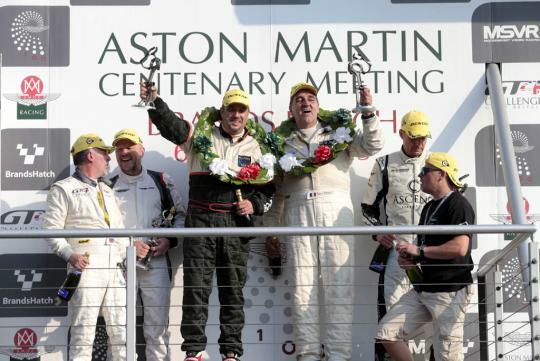 The star-studded race included Aston Martin Racing works drivers Jonny Adam and Stuart Hall, Aston Martin Chairman David Richards while James Martin and Tom Onslow-Cole returned for a second day of racing. The schedule included ten historic races, reflecting Aston Martins enduring involvement in motorsport that reaches back to the 1930s. The 1959 24 Hours of Le Mans-winning DBR1 was on display to mark the luxury sports car manufacturer�s famous victory at La Sarthe. As a mark of respect for Allan Simonsen, the Aston Martin Racing works driver who lost his life in the famous 24-hour race, a one minute silence was held ahead of Sunday's 100-minute GT Centenary Race. David Richards commented, "The weekend was a huge success, a fitting way to celebrate 100 years of Aston Martin�s motor racing history. 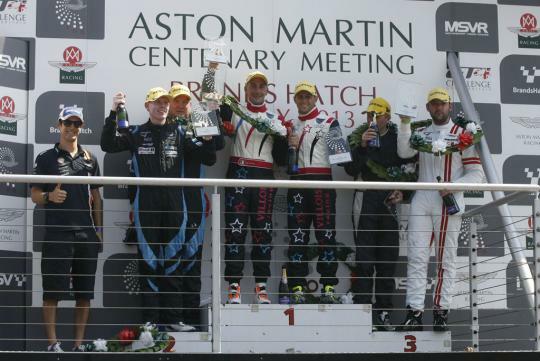 The large number of spectators who came to Brands Hatch to enjoy the celebration also reflects the huge enthusiasm and support we enjoy for Aston Martin�s current racing activities. 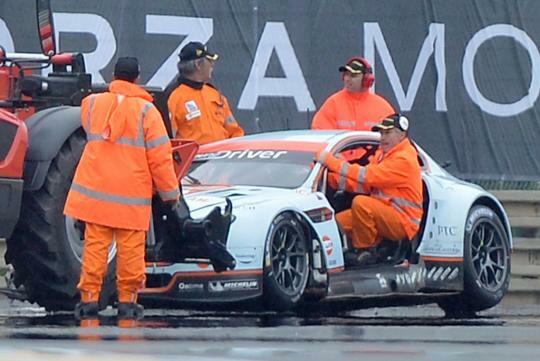 He added, "On the track, the Aston Martin Owners Club members put on several entertaining races. 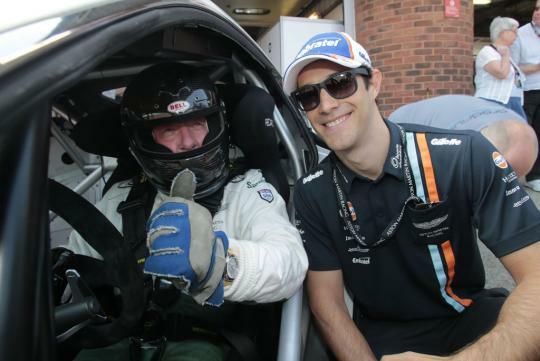 In the GT4 Challenge and the 100-minute GT Centenary Race our Aston Martin Racing customers battled fiercely on the circuit, yet the atmosphere in the paddock was, as usual, friendly and jovial, which is so typical of Aston Martin�s motorsport events." Aston Martin will continue its centenary celebrations in a week of events starting on 15th July, concluding with the largest gathering of the marque's cars in the history of the brand at Kensington Gardens on Sunday 21st July.